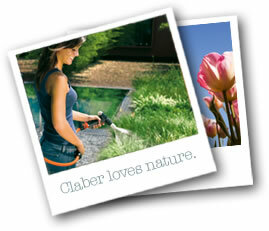 Claber seeks to use as little energy as possible, and minimize dependence on natural resources. Plastic moulding systems are designed to operate with low levels of water and energy consumption. Production departments are heated by a system incorporating a heat recovery function. Claber utilizes low energy lighting systems, and renews its manufacturing equipment and machinery with more energy-efficient upgrades on a regular basis.